The Shanghai tunnels are known to be a famous legend that are built underneath the ground. The tunnels originated from Portland, Oregon, found in the center of downtown, which is Chinatown in Portland. These tunnels resulted in illegal activity, but the illegal activities varied. Some tunnels consisted of alcohol during the prohibition era, some had men working as slaves, and others had prosecution organizations. Some places even made it to where you can go on tours of the tunnels. To enter the tunnels, you would have to climb down a ladder, where you would enter a tunnel dug out of dirt or cement, though not all the tunnels looked the same. Some had bars where prisoners were locked in, and others were just a big open space. Some of the tourists say the tunnels felt dark, dim, musty, and dusty when they entered them. Other tourists would say they could hear people screaming from inside the walls. The practice of the Shanghai tunnels remind me of the movie The Great Gatsby by the main character, Leonardo Dicaprio becoming rich because he owned an illegal club underground, where he sold alcohol. They both differ by the Shanghai tunnels had slaves working in the tunnels against their will, the movie The Great Gatsby had workers that worked in the main character’s clubs and his house, but the workers were not being held against their will. Though not all articles on the Shanghai tunnels have the same information. In the article, “Portland Underground: Shanghai Tunnels” by Valerie Mellema, talks about how men were kidnapped then sold off to captains for $50 a head. They were then forced to work on ships bound for the Orient with no pay. In addition, many basements of downtown bars and hotels were linked to the Willamette River waterfront as well as other locations along the West Coast. The article also mentions that women were kidnapped or drugged then put up for sale. Many people questioned whether this practice ever happened. Valerie Mellema wrote this article to try prove the legend on the Shanghai tunnels. Her purpose for writing this article is to show how shanghaiing takes place and how the practice of them influenced the readers. Valerie Mellema’s goal was to explain that the Shanghai tunnels weren’t a legend and for people to stop questioning if they were. Another article entitled, “The Haunted Shanghai Tunnels in Portland, Oregon” from the website haunted places to go, talks about how the Shanghai tunnels got its name from boats that traveled to Shanghai, China consistently. The website always mentions that paranormal activity happened in these tunnels, along with diseases, injuries, and drugs that killed many people that were held captive in these tunnels. These tunnels are said to be one of the most haunted places in America. This article is helpful for knowing where and how the Shanghai tunnels got its name. The purpose of this article is to share the abnormal things that happen in these tunnels. These articles differ by the details about of what happened in these articles. The article, “Portland Underground: Shanghai Tunnels,” discusses more of the history behind the Shanghai tunnels, while the article, “The Haunted Shanghai Tunnels in Portland, Oregon,” discusses the paranormal activity that went on in the tunnels. The articles compare by them both discussing what the tunnels are. Geobeats. 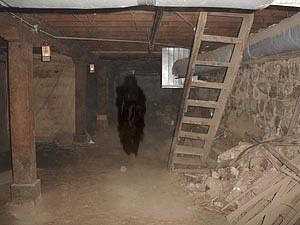 “Haunted Portland- Shanghai Tunnels (America’s Most Wanted).” Youtube.Youtube, 25 Sep. 2009. Web. 21 Oct. 2015. Mellema, Valerie. “Oregon Legends, Portland Underground: Shanghai Tunnels.” Legends of America. Legends of America, March 2008. Web. Oct. 2015. Mke and Carilyn. “Porland, Oregon.” Photograph. Meetin.org. Meetin.org, n.d. Web. 21 Oct. 2015. “The Haunted Shanghai Tunnels in Portland, Oregon.” Haunted PlacesTo Go. Haunted-places-to-go. 2008. Web. Oct 15. “Underground Portland.” Photograph. Portland Walking Tours. Portland Walking Tours, n.d. Web. 21 Oct. 2015. Shanghai Tunnels- http://www.uniquely-portland-oregon.com/shanghai-tunnels.htmlThis website gives more information on Shanghai tunnels. 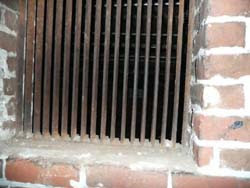 Haunted Secret Tunnels- http://www.shanghaitunnels.info/ this website is for you to sign up for tours, but it gives you a brief understanding of what happens in the tunnels, such as ghost stories and what happened with the slaves that were held prisoner. Haunted Tunnels- https://roadtrippers.com/stories/north-americas-most-sinister-haunted-tunnels?lat=40.80972&lng=-96.67528&z=5 this website gives more haunted tunnels, instead of just the Shanghai tunnels. These tunnels also encounter paranormal activity while in them.